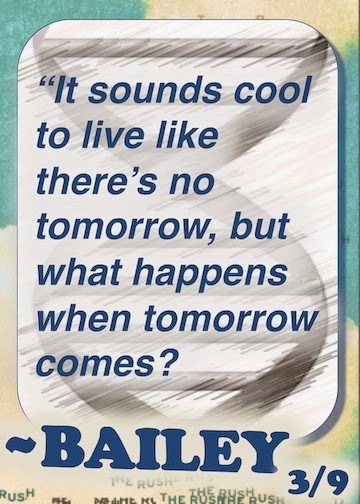 Today's card features Bailey Brynn, David's girlfriend. She loves science, math, and vegan food. She has a tattoo of a pair of Galapagos finches on her calf, to honor two of her heroes: Charles Darwin and Atticus Finch (from To Kill a Mockingbird). Her previous boyfriend was French Canadian, which David finds very intimidating. For Superfan contest details, including rules, prize list, and entry form, see Saturday's post. If you already know what to do, here's a direct link to the entry form, which contains helpful instructions on how to link to your posts. To see a gallery of trading cards (and other interesting stuff from the book), visit the TSoS Pinterest page.